As you may know, negative information stays on your credit report for 7 years, except for bankruptcy, which will stay on your report for ten years. While you may be trying to do everything possible to avoid ruining your credit record, there are some instances---such as job loss or illness---that force consumers into seeking protection from creditors. Although we’ve mentioned it time and again on the forum, it bears repeating: filing for bankruptcy is not a decision to be entered into lightly. In fact, it is important to get good information and carefully weigh your options. Having said that, delaying too long can cause unnecessary financial strain and serve to compound existing problems. Is bankruptcy always the last option? In some cases, these bankruptcy alternatives can be just what the doctor ordered, however in others they can put you in deeper trouble without meaningful debt relief. 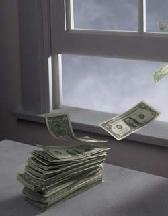 The fact is that the recession is causing a lot of people to file for bankruptcy who never thought they would. While the recession is is undoubtedly a sad turn of events, I am also seeing an even more disturbing trend. Namely, a lot of them are selling all of their property in an effort to stay current with their bills and avoid filing for bankruptcy. By the time they come to me, they have already gone through everything they own. While these efforts are always well-intentioned, they are catastrophic for their finances. In a lot of cases, people are selling assets that they would otherwise be able to keep if they would have thought about filing for bankruptcy a little sooner. The purpose of bankruptcy is to provide those struggling with debt a fresh start. Sometimes, the bankruptcy card is only to be played as a last resort, however, in some cases it offers the most thorough relief on the best timeline. Each situation is different, if you’re contemplating bankruptcy, be sure to meet with an experienced attorney. If you are in the market for a quality bankruptcy lawyer then chances are you’re not in an ideal situation. However, you’re doing the right thing by attempting to improve your situation with the help of a licensed bankruptcy lawyer. It is strongly recommended that anyone facing bankruptcy find a licensed bankruptcy lawyer they trust. The reason for this is that the bankruptcy filing process can very complicated and filled with loopholes so you’ll want to be sure that you’re getting the most out of your bankruptcy in every way possible. There is no shortage of bankruptcy lawyers out there so you might consider finding one to be a simple task that is easily completed. However, it’s not the quantity of bankruptcy lawyers that’s the problem. It’s is the quality of bankruptcy lawyer you should be concerned about. 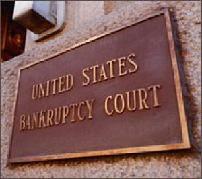 If you already have a lawyer then you should ask him or her for a referral to a lawyer who specializes in bankruptcy. You should also talk to your family, friends, and co-workers to see if any of them has had experience with a bankruptcy lawyer whom they can recommend. You should not settle on the first bankruptcy lawyer you talk to. Just like when it comes to shopping for anything else it is best to compare and contrast your options in order to ensure that you are getting the best bankruptcy lawyer for you. After talking to several bankruptcy lawyers about your situation you can decide which one showed the most genuine concern as well as conveyed the appropriate knowledge of bankruptcy proceedings. So now that you know what bankruptcy lawyers do and where to find them you can contact one today in order to kick start your bankruptcy filing. You might not be thrilled about it but sometimes it’s what needs to be done in order to continue living your life the way you want to.